Seems like this has been going around social networks yesterday. 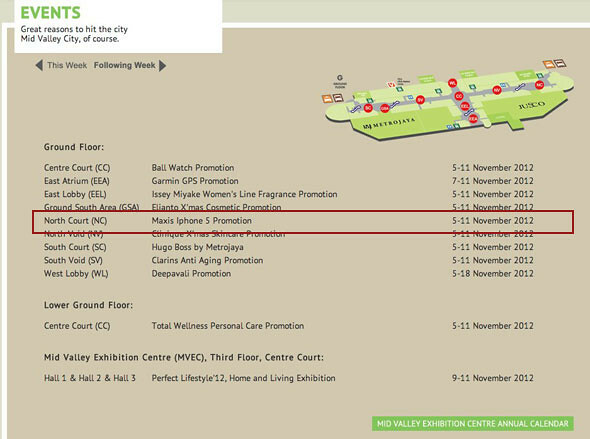 Our buddy @calvingsc shared a photo with us regarding Mid Valley’s list of events for November and guess what… one of them is ‘Maxis iPhone 5 Promotion’, subjected to happen from 5 – 11 November! On a sidenote, someone is hiring a lot of iPhone 5 promoters! 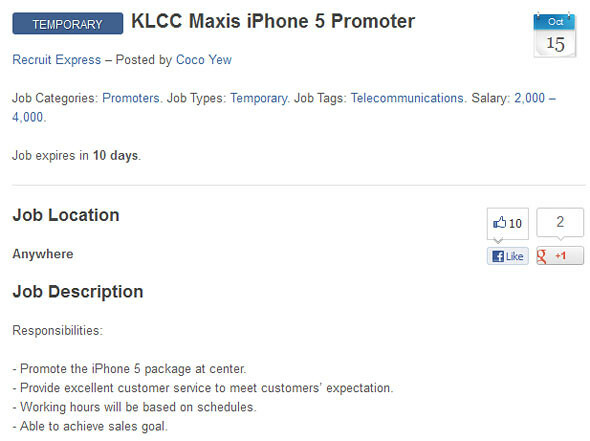 Spotted on iHelpboard, someone has posted a recruitment post, hiring people to become promoters for iPhone 5. – Promote the iPhone 5 package at center. – Provide excellent customer service to meet customers’ expectation. – Working hours will be based on schedules. – Able to achieve sales goal. So that’s all the news we have now regarding iPhone 5 launch in Malaysia. For updates, do follow us on TWITTER.